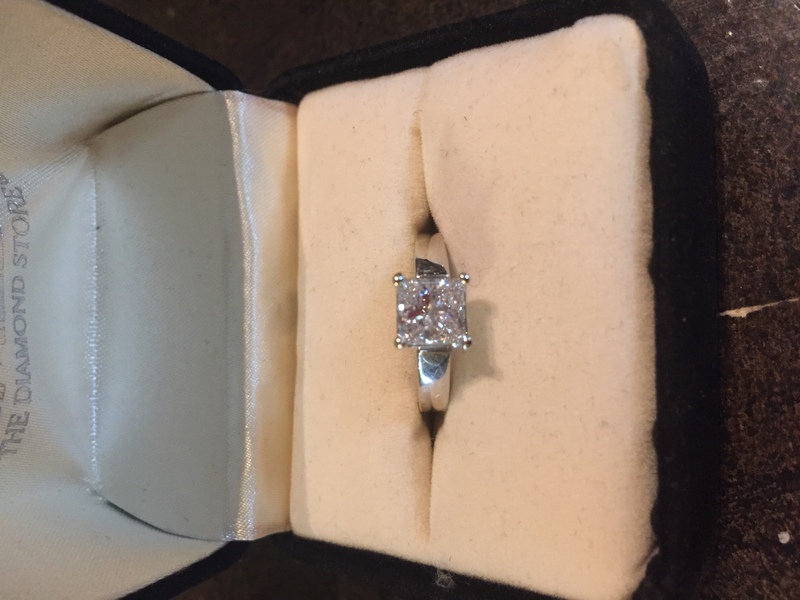 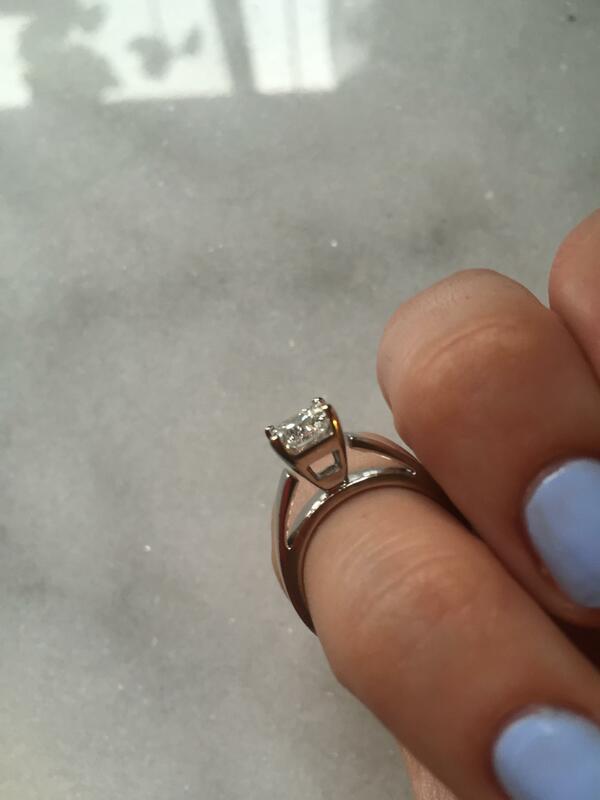 Beautiful classic 1.00ct. 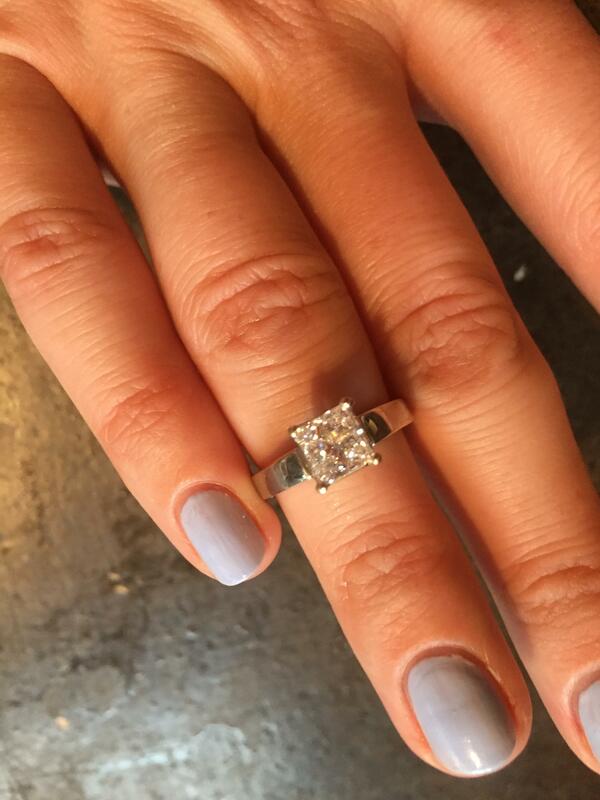 princess cut diamond in timeless 14KT white gold. 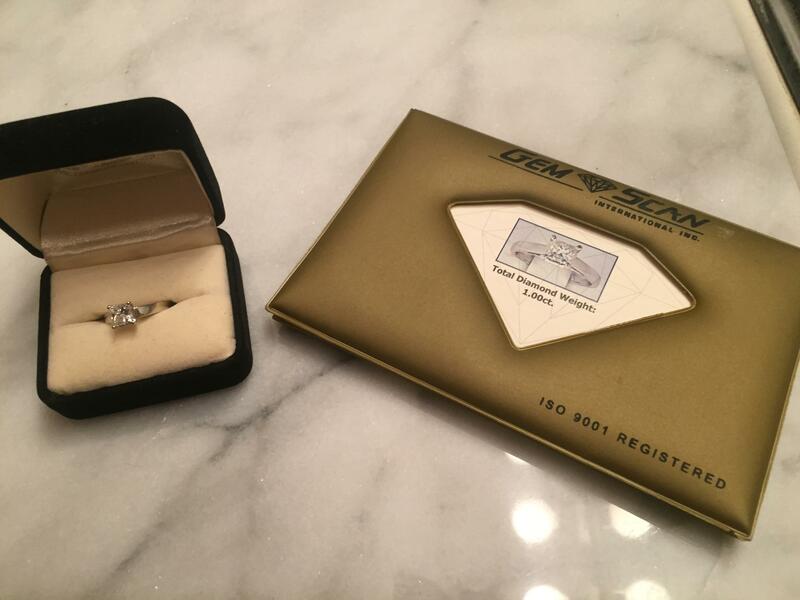 Purchased in 2006, estimated replacement value of $6,200. 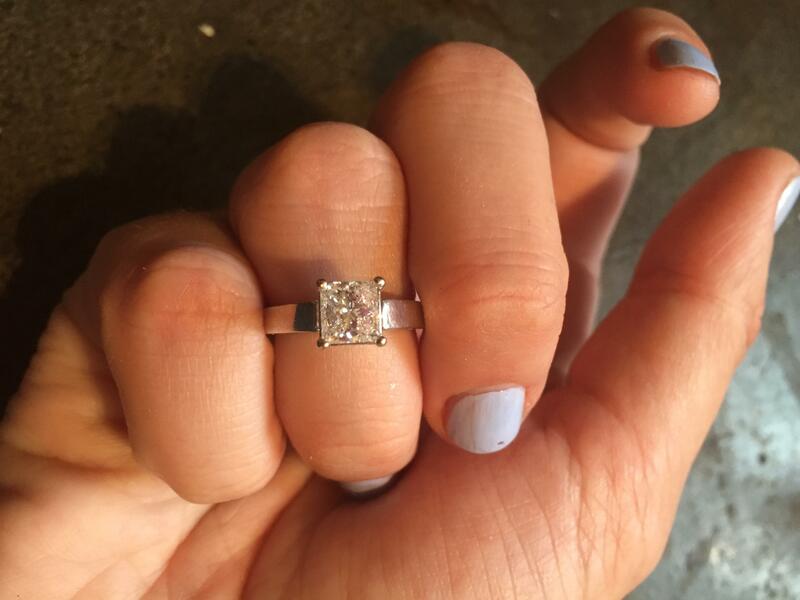 Diamond weighs exactly 1.00ct., G color rating, good cut and I-2 clarity. 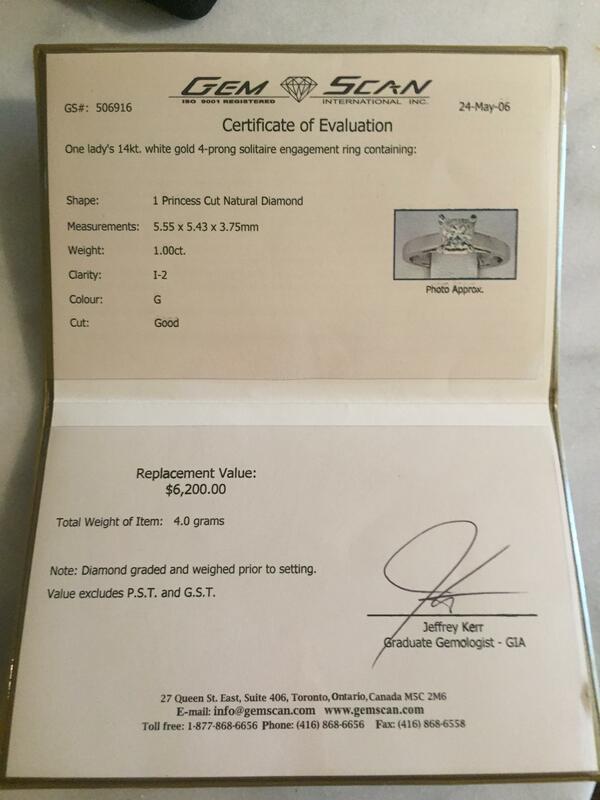 Ring comes with evaluation certificate from gemologist (see photos). 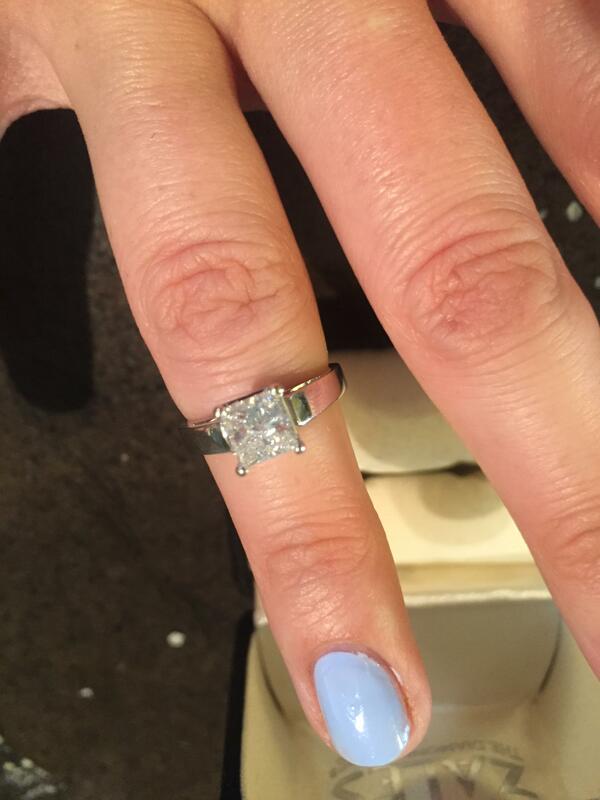 Ring is a size 4.25 ladies.